2016 saw the release of several striking Portfolio Website Templates and many earlier themes were updated with higher quality versions. Modern portfolio themes for photographers, artists, designers, graphic designers and other creatives come in various styles. The portfolio grid may be a masonry style with or without spaces between two “bricks”. They may also be square grids, come in filterable and advanced styles for easy ordering, and feature hover effects and lightboxes. 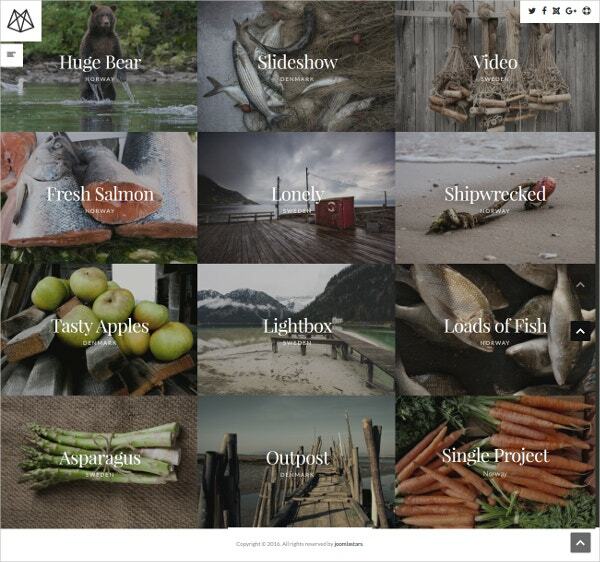 The following Photography Website Templates and portfolio themes are some of the best from 2016. 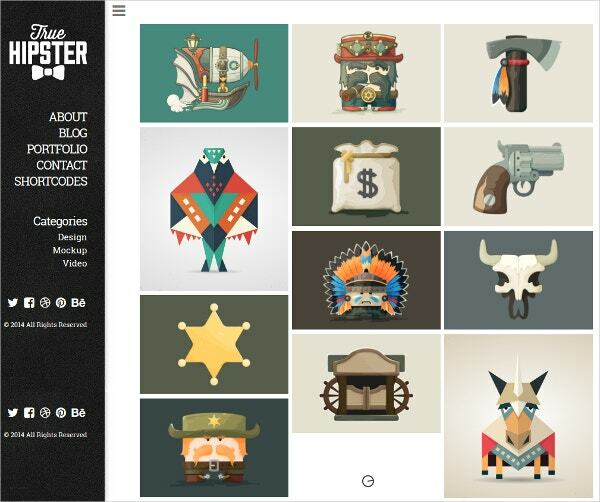 Monstroid is a popular Responsive WordPress Theme with a bold, creative color scheme. It is packed with features like parallax effect and retina readiness that maintains high quality immersiveness on all devices. It is built on the Cherry Framework and features the MotoPress Slider and MotoPress Editor plugins. It comes with WooCommerce integration, and you can use shortcodes to enhance your Monstroid website. 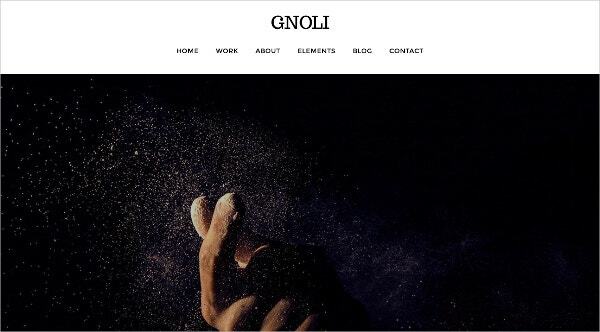 Gnoli is a creative template with quirky typography and a minimalist layout where your visual content is given plenty of space to speak for itself. The theme is meant for studios, agencies and freelancers. You can stylishly publish your work online with Gnoli, add Contact pages, About us, blog, portfolio and single post pages. It is responsive and easy to customize with Visual Composer. You may also see Artist Portfolio Website Templates. This popular theme is designed for private transportation companies but can be adapted by other travel professionals as well. It is a beautiful theme with plenty of options for customization. Features include a visual page builder, parallax effect, mega menu and a layout with lots of white space for soothing and engaging navigation. 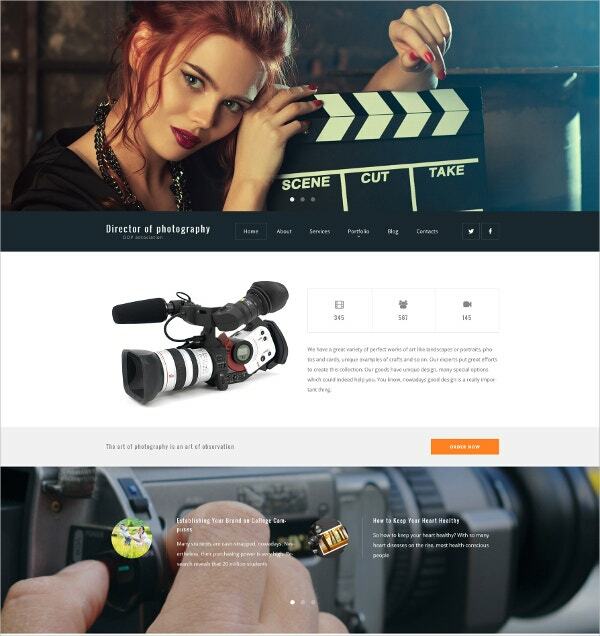 Heat is a visually focused template for photographers and other visual artists. It is responsive and retina ready, to say the least. It is also a highly flexible theme that lets you customize the demo content, should you prefer it. 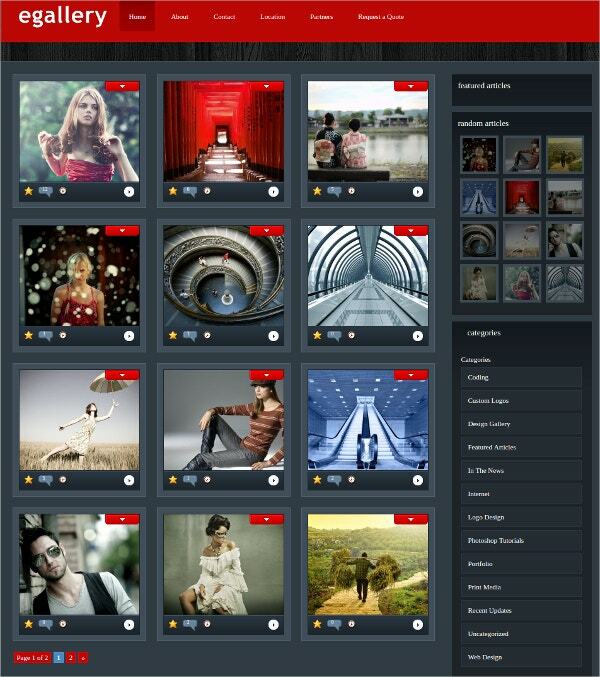 The theme is great for showcasing multiple galleries with as many images as you want to include. 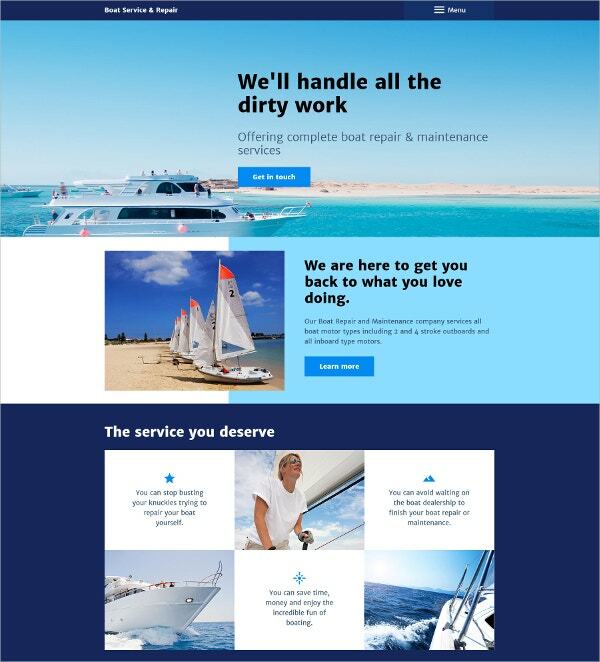 Boat Repair service is a beautiful blue themed template for yacht and boat builders, but the template can be adapted for other portfolios. It is a responsive theme with a color switcher and four stunning premade color styles that you can customize further. Other features include parallax, additional pages, lazy load effect for your portfolio images, UI elements font icons, contact form etc. 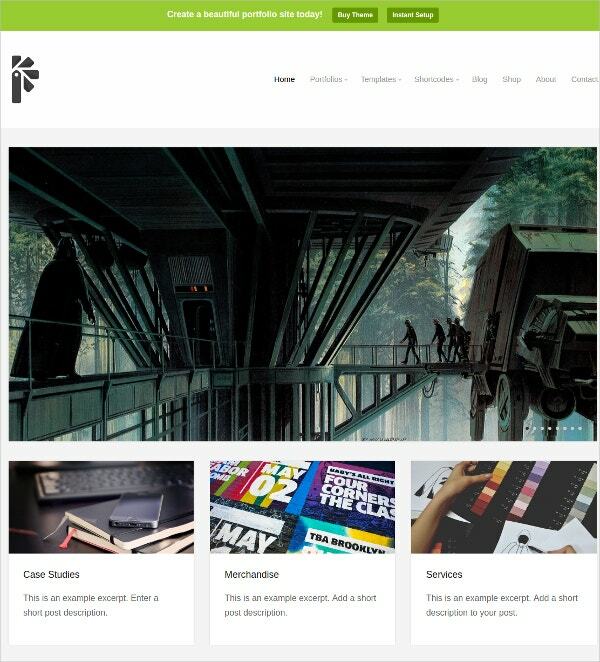 Peekskill is a Joomla based portfolio website template with a minimal style. 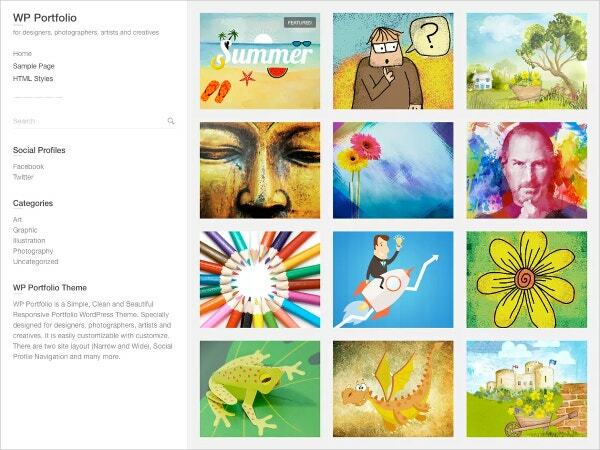 Let your visual portfolio speak for itself with the masonry gallery and CSS3 animations. The filterable portfolio is supported further with K2 component, Twitter bootstrap that makes it look great on mobile devices, video page, slideshow page, blog with separate post page, Ajax based detail page and more features. Vanz is a unique retro style portfolio page with customizable color scheme, preloader for every page and most importantly, an unlimited grid system that is fully supported by bootstrap 3. The infinite scroll on the portfolio and blog lets you offer your visitors a visual treat. The theme includes demo content, shortcodes, Contact Form 7 and is coded with HTML5 and CSS3. WP Portfolio is a highly popular WordPress theme with over 900 downloads till date. 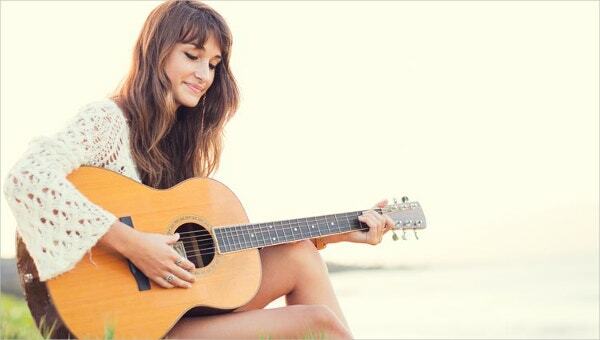 It has a simple and clean layout with a responsive design. It comes with two post view layouts. You can either arrange the posts as lists or as a grid. Other features include social profile navigation, header, Favicon, custom background, CSS, logo etc. It supports popular plugins like Breadcrumb NavXT, bbPress, WooCommerce etc. Fashion is a Joomla template for clothing stores or other fashion-related websites. It has a trendy design with a dark color scheme and bright pops of color. Features include a theme color switcher, Google Map integration, Google fonts, additional pages including Pricing, FAQ, Careers, Site Map, Testimonials etc. You can have your portfolio images load with a lazy load effect, add a contact form and do much more. 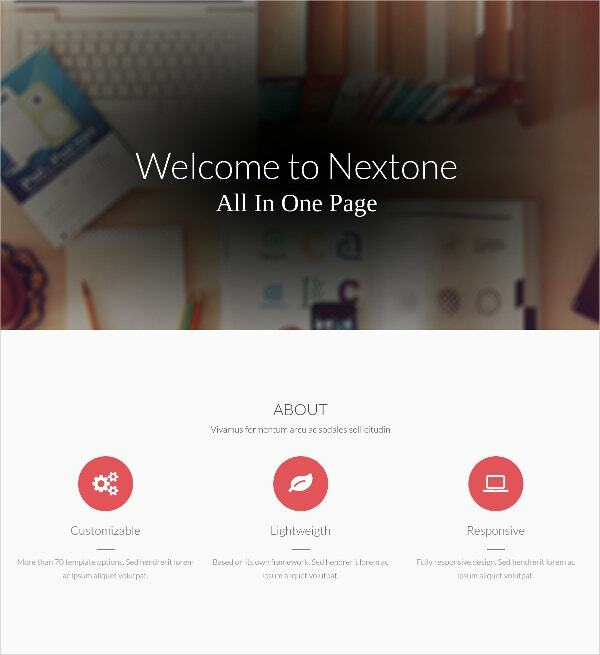 Nextone is a minimal portfolio theme, also based on Joomla. It is a highly flexible theme offering you plenty of customization including over 100 template manager options, which will leave you spoilt for choice. The template is clean coded with HTML5 and CSS3. It features a bootstrapped grid, over 650 Google fonts, five header styles, 30 shortcodes that you can edit files with, touch enabled carousels and lots of other features. Portfolio Gallery for WordPress has over 4000 installs because of its stunning dark design and stylish typography. The theme is SEO friendly and though images are the main focus of the template, it can be adapted for any type of website including corporate, business and art portfolio, personal branding and landing pages. The theme works with plugins like WooCommerce, bbPress, Contact Form 7 and is WPML ready. 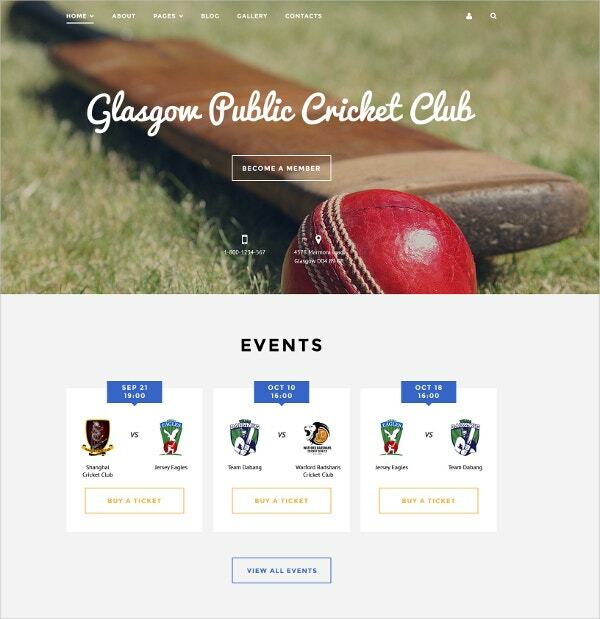 Cricket Club is a Joomla theme with a minimal and responsive layout. It is designed for clubs, but can be adapted for other websites as well. It features parallax effects to add depth to page layers, a stick to the top menu for easy navigation, Google Map to mark your company location, Google Fonts and Font icons etc. Brander is a premium template built with HTML5, with stunning modern and minimalist layouts. It comes in two versions, light and dark. Both are stylish and bold, with a heavy focus on images. It is best suited for fashion websites but can work with other types of websites as well. It is WooCommerce friendly, and caters to the over-sized images trend. 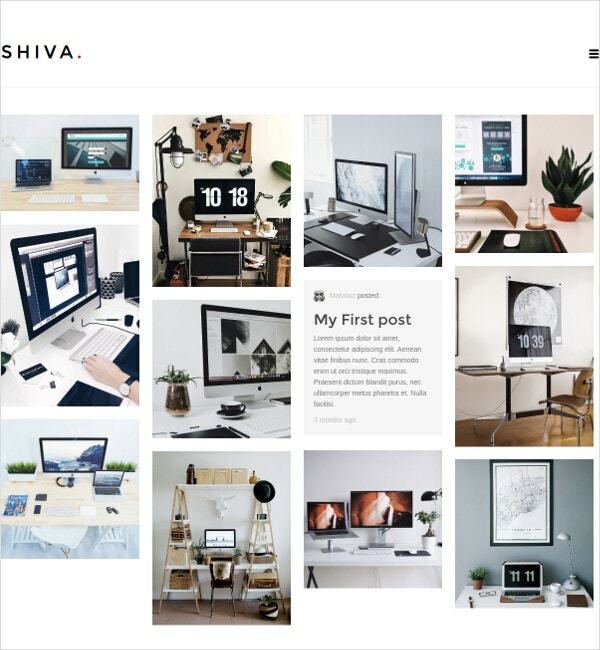 Shiva is a spare and light theme with plenty of white spaces between portfolio images for a pleasing user experience. It has a responsive layout with a flexible customizer and a gallery layout with popup images. It comes with four columns and includes CSS and PHP files in the theme bundle. The template can be used for blogs and portfolios on WordPress. 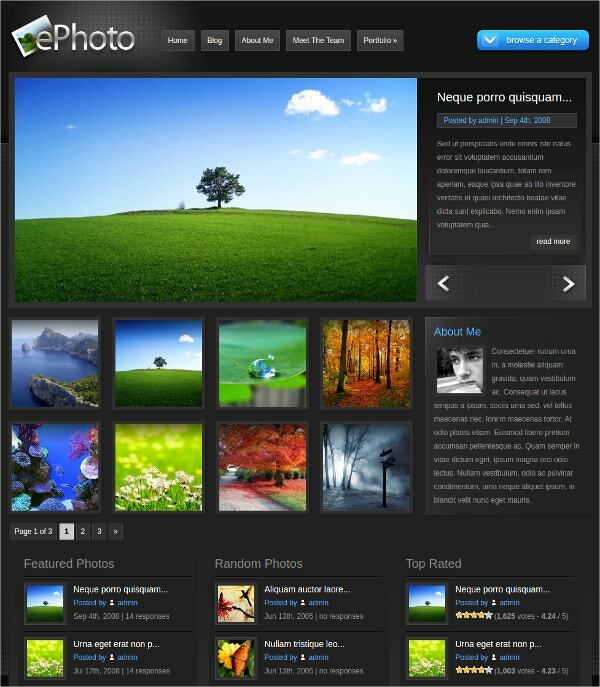 ePhoto is a blog template with photographers as its target, though you can use it to display any type of images and art. You can add a separate blog page if you want, where you can integrate regular blog posts alongside your photos. Features include secure and valid coding, two color schemes, updates and support, shortcodes, localization with .mo and .po files, an ePanel theme options panel that integrates with WordPress dashboard and more. Portfolio Theme is a professional and minimal theme which brings focus to your content. While it can be used as a regular blog, the presence of plenty of white spaces makes it ideal for displaying artwork and images alongside your posts. The responsive theme uses the WordPress customizer for changing color, theme options, settings etc. It is WooCommerce compatible, multilingual compatible and comes with a slideshow and portfolio page template. 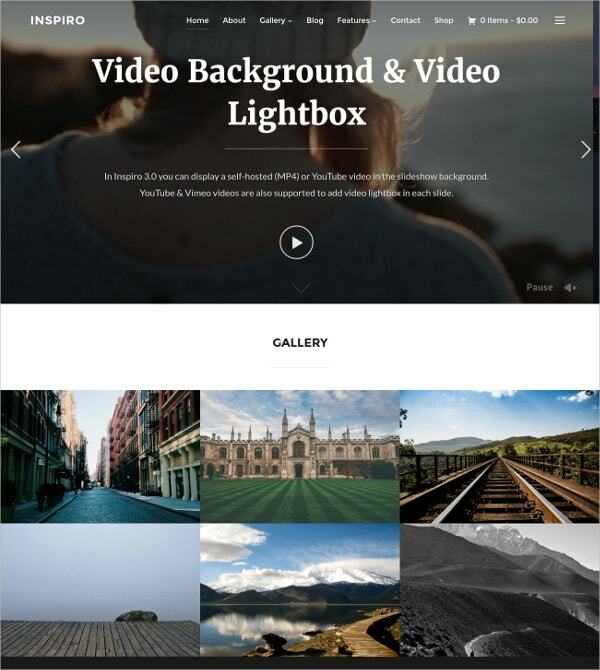 Inspiro is a WordPress theme with focus not only on images but also on video. It comes with plenty of features including a widgetized homepage, fullscreen slideshow and a gallery module. The theme options panel lets you customize any element of the theme that you want. 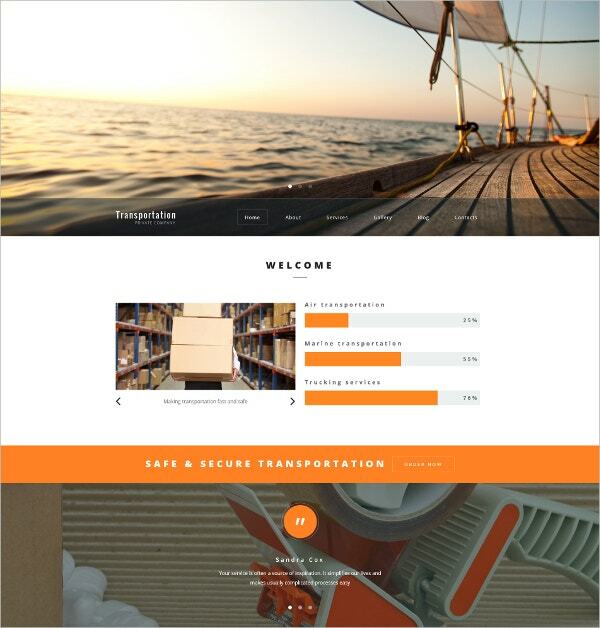 Unique widgets like Portfolio Scroller and Portfolio Showcase can make for an engaging visitor experience. 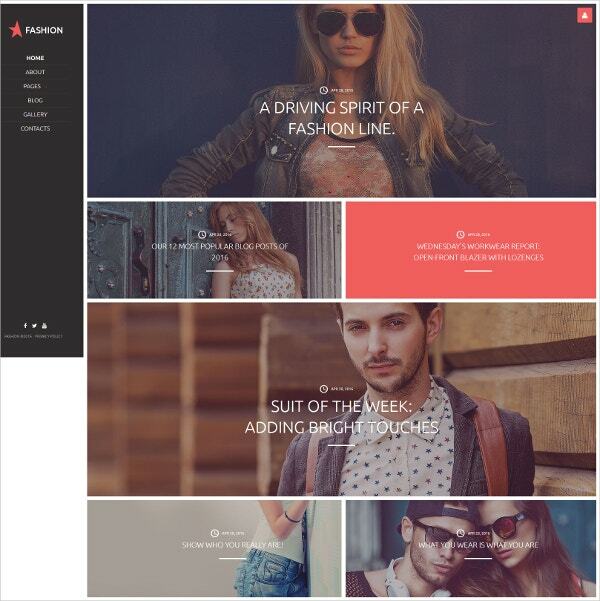 NooFashion wraps up this list with its responsive and retina ready bootstrapped layout. It has been coded with HTML5 and CSS3 and was inspired by the layout of Pinterest. The theme features a dynamic menu bar, five color schemes, carousel slider and infinite scroll like Pinterest offers and plenty of other features. If you are a photographer, artist, designer or an online store owner who wants to showcase projects, portfolio or products, Portfolio WordPress Themes may be your first choice. WordPress is easy to use and offers plenty of support. But don’t ignore HTML or Joomla templates since they have their own advantages over WordPress. Look for a template that fits your vision and test it out.